GENEVA (Reuters) - The death toll in the Ebola epidemic has risen to 5,459 out of 15,351 cases identified in eight countries by the end of Nov. 18, the World Health Organization (WHO) said on Friday. The figures showed an increase of 39 recorded deaths and 106 new cases since those issued on Wednesday. 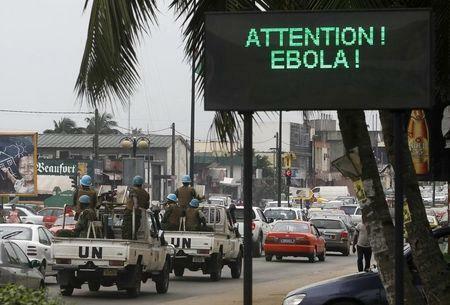 "Transmission remains intense in Guinea, Liberia and Sierra Leone," the WHO said, referring to the hardest-hit countries. All six known Ebola cases in Mali have now died and 327 contacts exposed to the virus are being monitored in the capital Bamako, it said.